Assembly instruction is included. If neccessary, a video of installation is available. 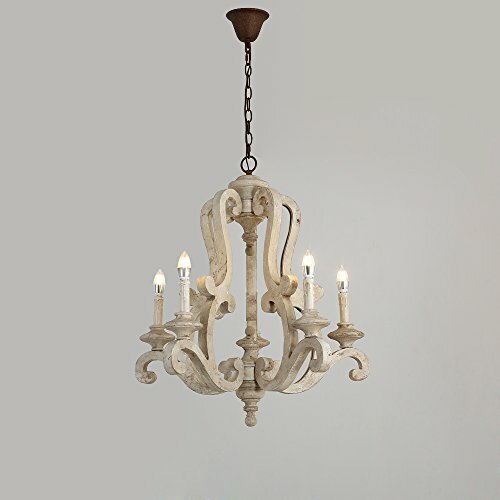 Understated yet elegant, this 5-light chandelier exudes a sense of age and the distressed wood construction enhances its authentic refined cottage style. Gracefully scrolled arms extending to support five wood bobeches while providing a romantic silhouette. 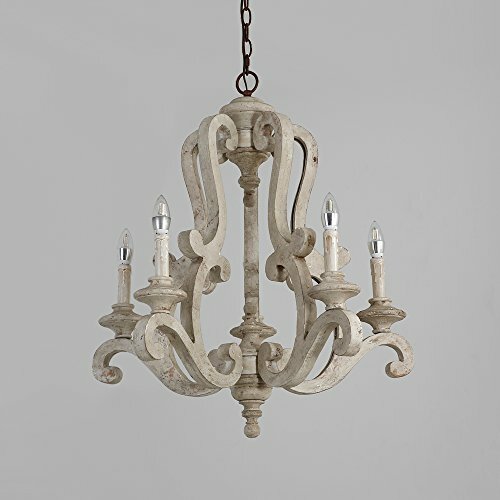 Carved body adds crafted detail to pair this design perfectly. 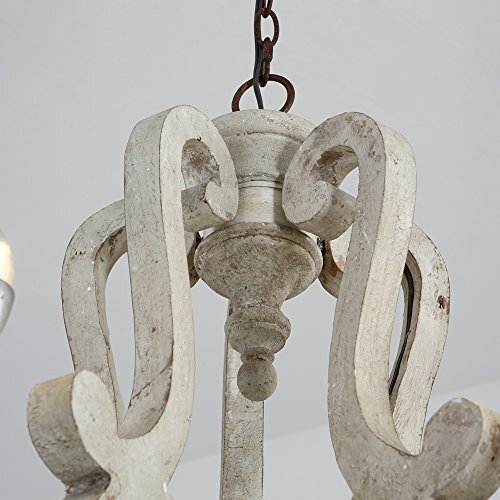 Canopy and chain in rust bring a dash of rustic charisma for sophistication. 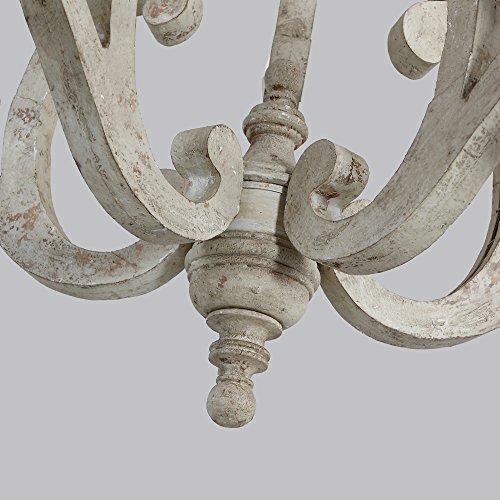 It is available in brown and distressed white to complement your living room, bedroom and other places. 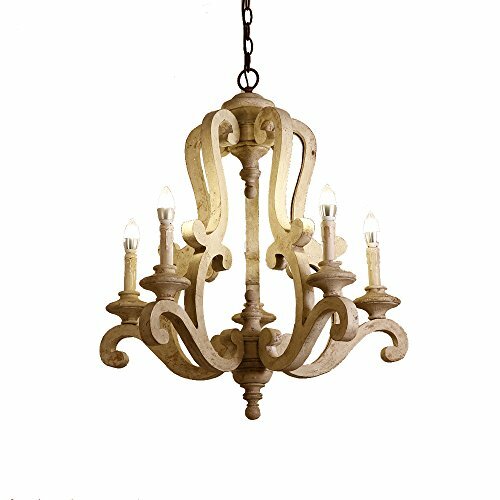 - Materials: Wood, Metal - Finish: Rust - Diameter: 26.8" (680mm) - Height: 28.7" (730mm) - Chain Length: 39.4"/1000mm (adjustable, contact us if you need longer) - Bulbs: 5 x 40W incandescent E12 (not included) - Assembly Instructions: This fixture does need to be hard wired. Assembly is required. Professional installation is recommended.